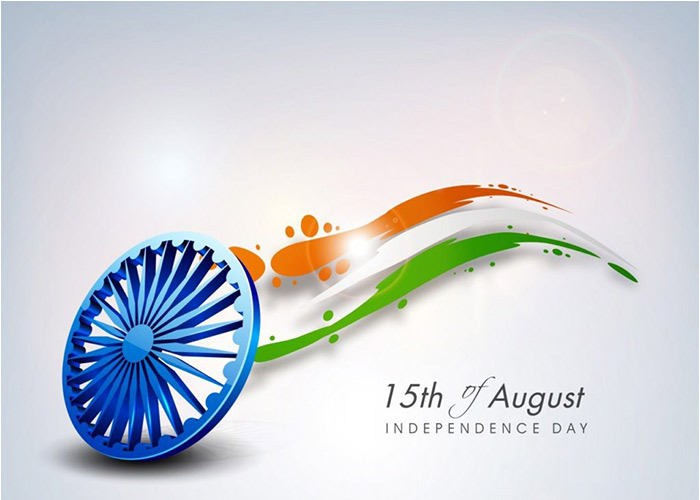 Independence Day is an annual observance celebrated every year on 15th of August. India’s Independence Day is a day of great significance for the people of India. On this day India got freedom from the British rule after long years of slavery. It has been declared as the National and Gazetted Holiday all across India in order to independently commemorate the independence of the country from British Empire on 15th of August in 1947. It was not so easy for India to get freedom from the Britishers however; various great people and freedom fighters of India made it a truth. They had sacrificed their lives in attaining the freedom for their future generations without worrying about their comfort, rest and freedom. They planned and acted upon various Independence Movements including violent and nonviolent resistance to get complete freedom. However, later independence Pakistan was partitioned from India which was accompanied by violent riots. That horrible riot was the reason of mass casualties and dislocation of people (more than 15 million) from their homes. On this day, all the national, states and local government’s offices, banks, post offices, markets, stores, businesses, organizations, etc become closed. However, public transport is totally unaffected. 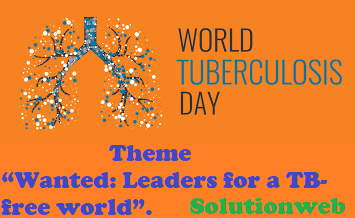 It is celebrated in the capital of India with big enthusiasm, however, it is also celebrated in all the schools, colleges and other educational institutions by the students and teachers including public community and society. Independence Day of India was celebrated by the people all over India on 15th of August 2019, at Wednesday. This year in 2019, India is celebrating its 73rd Independence Day to pay tribute and remember all the freedom fighters who had contributed a lot and fought for the Independence of India. The first Independence Day was celebrated in India on the 15th of August in 1947. Delhi police are working hard to ensure incident-free Independence Day celebration at Red Fort. It is for the first time when 300 cameras (360 degrees view with night vision) are getting installed at the Red Fort for the close surveillance purpose of every nook and corner near to the celebration point. Prime Minister Narendra Modi has invoked the Quit India Movement again (after Mahatma Gandhi) in order to encourage countrymen to use the same spirit to expel problems like corruption, communalism, terrorism, casteism, poverty, as well as dirt forever from the country by 2022. He requested people to take a pledge to throw this evil from the root out of the country and create a “New India”. The Prime Minister, Shri Narendra Modi addressing the Nation on the occasion of 72nd Independence Day from the ramparts of Red Fort, in Delhi on August 15, 2018. The Prime Minister of India, Narendra Modi, is giving the speech on the 73rd Independence Day of India at Red Fort, Delhi. The Indian subcontinent was outpost by some European traders during the 17th century. It was again slaved by the British East India Company because of his big military strength. They established their local kingdoms and effective forces all through India during the 18th century. A great independence revolution was started by the people of India against the British rule in 1857. That Indian Rebellion is called as Great Rebellion, the Revolt of 1857, the Indian Mutiny, the Uprising of 1857 and the Sepoy Mutiny. It was started against British East India Company’s army at Bengal Presidency on 10th of May in 1857. Through that Rebellion (Government of India Act 1858), Indian freedom fighters made British Crown realized to free the control over India. The Revolt of 1857 was an effective rebellion after which various civic society have emerged all across India. One of them was the Indian National Congress Party which formed in the year 1885. The period of dissatisfaction and unhappiness has raised non-violent movements (non-cooperation and civil disobedience) all through the nation which was led by the Mohandas Karamchand Gandhi. After World War II, in 1947 the British government get ensured that it no longer could show its power in India. Indian freedom fighter was continued fighting and then Britain decided to free India from the rule however Hindu Muslim violence took place after the independence of India (on August 15, 1947) which separated India and Pakistan. Muhammad Ali Jinnah became the first Governor General in Karachi Pakistan. However, Pandit Jawaharlal Nehru became the first prime minister of independent India. An official ceremony was held in the capital of the country, Delhi where all the great leaders and freedom fighters (Abul Kalam Azad, B. R. Ambedkar, Master Tara Singh, etc) took part to celebrate freedom. In the midnight of 15 August 1947, India was proclaimed an independent country by the Pandit Jawaharlal Nehru where he gave his speech over “Tryst with destiny”. He said during his speech that “Long years ago we made a tryst with destiny, and now the time comes when we will redeem our pledge, not wholly or in full measure, but very substantially. At the stroke of the midnight hour, when the world sleeps, India will awake to life and freedom. After that, all the Assembly members took pledge of being loyal in offering their services to the country. National flag was officially presented to the assembly by a group of Indian women. Finally, India became an independent country officially, and Nehru and the viceroy, Lord Mountbatten, became the first prime minister and first governor-general respectively. Mahatma Gandhi was not involved in the celebration. He stayed in the Calcutta and marked the Independence Day with his 24 hours fast in order to encourage the peace between Hindu and Muslim. India’s Independence Day is celebrated all over the country as a National holiday of India. It is observed every year in every Indian state and union territories with great enthusiasm. President of India gives a speech every year in order to “Address to the Nation” on the evening of a day before the Independence Day. It is celebrated with a big passion in the Capital of country on 15th of August where the prime minister of India hoists the Indian flag on the Red Fort, Delhi. After the flag hoisting, National Anthem song is sung and twenty-one gunshots are fired to salute and honor the Indian flag and solemn occasion. School students celebrating Independence Day of India at Red Fort, Delhi. They have arranged themselves wearing a tricolor uniform in such an attractive manner showing Jai Bharat. The prime minister of India highlights over all the achievements of past year, important social issues and solutions, further development in the country, educational matters, etc during his speech on the Independence Day after paying tribute to the freedom fighter and leaders of the Indian independence movement who had sacrificed their lives. A grand march past takes place by the Indian Armed Forces and paramilitary forces. The celebration of independence day takes place in different states of diverse cultural traditions where Chief Ministers of individual states hoist the national flag flowed by various cultural activities by the participants. Flag hoisting, National Anthem song play and parade ceremonies including other cultural programmes takes place in almost all the governmental and non-governmental institutions, educational institutions, some of the private institutions all through the country. In the schools and colleges, the national flag is hoisted by the school or college Principal and parade and cultural events are carried out by the students. At this day, government offices, buildings, etc gets adorned with the electric lights, flowers and other decorative things. Different sizes of the national flags are used by the people to symbolize faithfulness and commitment to the country. There is a big risk of terrorist attacks while celebrating Independence Day especially in the major cities like Delhi, Mumbai and Jammu and Kashmir. That’s why a no-fly zone is declared around the Red Fort to prevent aerial attacks. For more security reasons additional police forces are positioned all over the cities. Live broadcasting and webcasting is carried out by the media and government websites in order to provide live casting of the celebration of the event to the people all over the country. It is also celebrated by the people with family members, friends and neighbors by going at dinner, picnic, park, garden, mall for shopping or seeing the film, etc. Some people do flying or sing patriotic songs. 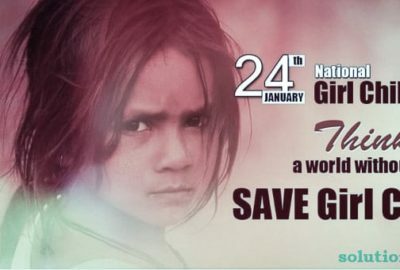 At this day, kids of the home take a small flag in their hand and go outside by saying “Jai Hind”, “Jai Jawan or Jai Kisan” and another popular saying. The kite flying sport in India symbolizes Independence Day. The sky all over India becomes full of countless kites (flown from rooftops) of various sizes, shapes, styles, and shades. Some of them become tricolor symbolize India’s flag. Another symbol of independence day is the Red Fort of New Delhi where the first Indian Prime Minister, Jawahar Lal Nehru, unfurled the Indian flag on 15th of August in 1947. 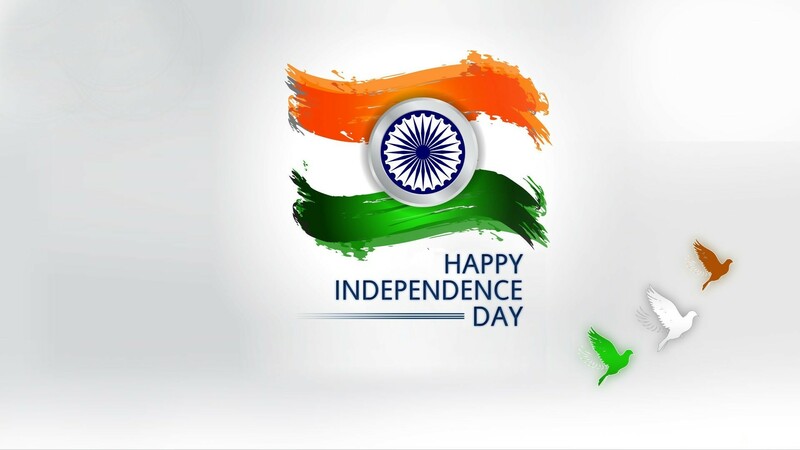 Independence day is celebrated to commemorate the freedom of India from the British rule in 1947. 15th of August is the day of re-birth of India. It is the day when Britishers left India and handed over the country to its leaders. 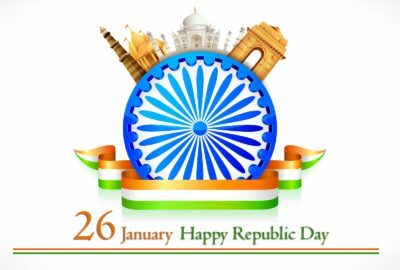 It is the most significant day in the history of India and celebrated every year with great enthusiasm by the Indian people.